Hello, Jamie Sumner! Thank you for visiting Watch. Connect. Read. to celebrate Roll with It. What are three things Ellie would want us to know about her? Jamie Sumner: The first thing Ellie would tell you is that she’s going to be the world’s next greatest baker. She’s been practicing for years and can make a tastebud-perfect Linzer cookie. Seriously, it’s impeccable. She would also want you to remember that just because she’s in a wheelchair doesn’t mean she’s all sunshine and cuddles. She has her moods, as do we all. Lastly, she finds cockatoos totally creepy, but surprisingly good at taste-testers. What planted the seed for Roll with It? Jamie Sumner: My oldest son has cerebral palsy. He just started kindergarten this year. He rolls around in his wheelchair and struggles with many of the things Ellie struggles with in the book – fighting to be known for something other than a disability, especially when that disability is so visible with the wheelchair. I wanted to write a book that would show my son and all the other kids with special needs that they don’t have to be shrunk down to their diagnosis. I wanted a book that was about a girl who is feisty and loves her family fiercely and finds herself in her baking and refuses to let anyone label her by what they see. I also wanted to write a story that includes disability, but isn’t about disability. I didn’t want this story to be about how Ellie changes all the people around her for the better. No one wants to be the sidekick in their own story. She wants to live her own best life, like anybody would. So I wrote a story that reflected that. I love Ellie’s letters to chefs. Are you a fan of baking and watching cooking shows like Ellie? Jamie Sumner: I love to bake! It’s the best form of stress-relief. I make a stellar triple-layer Irish cream cake, and challah turned into French toast is the only way to start a Saturday. But I’m still pretty sure the kids from Kids Baking Championship could bake me under the table. In the book, Ellie writes letters to Mary Berry from The Great British Bake-off and to Deb Perelman from Smitten Kitchen. I thank both of these women in the acknowledgments for saving my psyche with their wonderful recipes on more than one occasion. 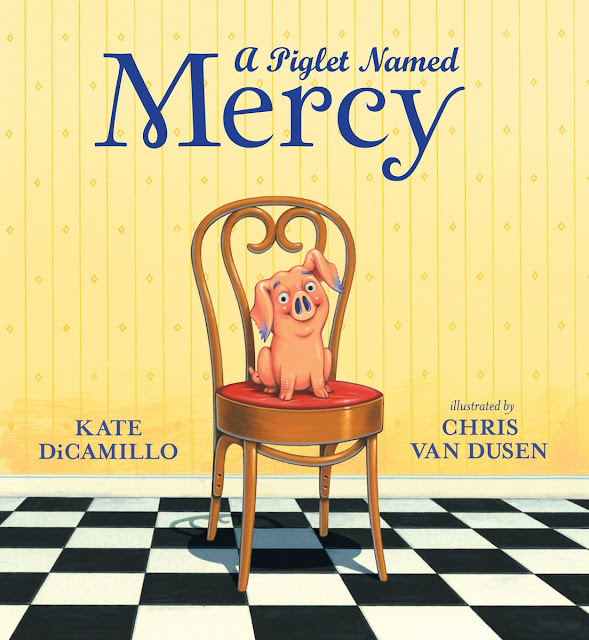 Amy Marie Stadelmann’s cover illustration so perfectly captures Ellie! She’s got such a great look to her face that you can’t help but want to know her. And Amy got every little detail right, from the purple racing stripes on her wheelchair to the cherry on the pie. She even put Ellie in clothes that don’t quite match because matchy-matchy is so not Ellie’s style. Also, I love how the title literally rolls off the page! Ellie’s grandparents are the reason Ellie has such a fighting spirit. Mema’s favorite coffee cup features a mouse lifting a barbell that reads: “Lord give me strength.” That pretty much sums her up: witty and tough. And Grandpa is the reason Ellie and her mom move to town in the first place. As his dementia worsens, Ellie becomes, for the first time, a caretaker instead of the one always being cared for. She watches her grandfather fight for the same independence that she wants as he must come to terms with what he can no longer do. Tennessee and Oklahoma are both mine and Ellie’s roots. I was born and raised in Tennessee, but my grandparents, whom the book is dedicated to, lived in Oklahoma where I spent my summers and any other time I could beg my parents to take me. Their bricked-down trailer was my favorite spot in the world. We spent a lot of time on their back porch, talking late into the night with the zzzt of the bug zapper for background noise. When I think of childhood and summer, I think of Oklahoma. Mr. Schu, you should have asked me about the cockatoos! Would you believe me if I told you that part of the story is true? Cockatoos really did live uncaged and fancy free (and eating all the people-food they could get their beaks on) in the trailer next to my grandparent’s. There was a Rottweiler too. Truth is stranger than fiction. 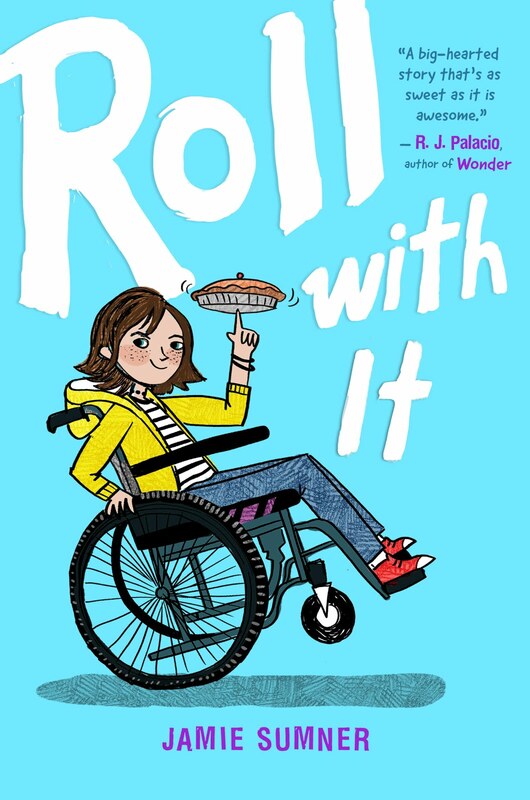 Look for Roll with It on October 1, 2019.